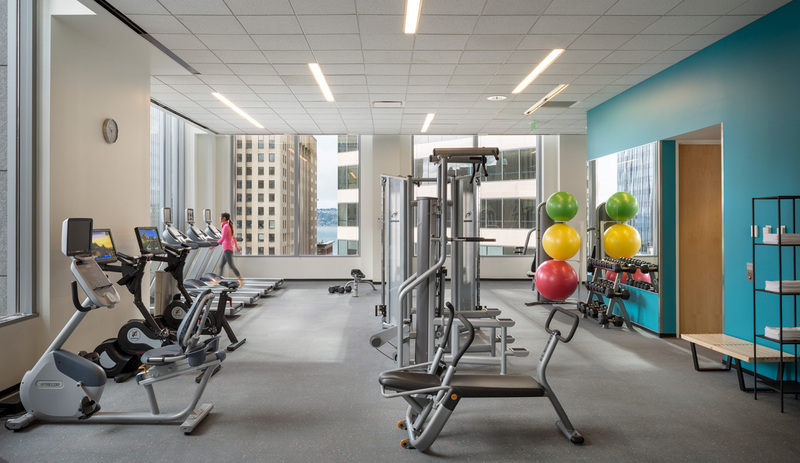 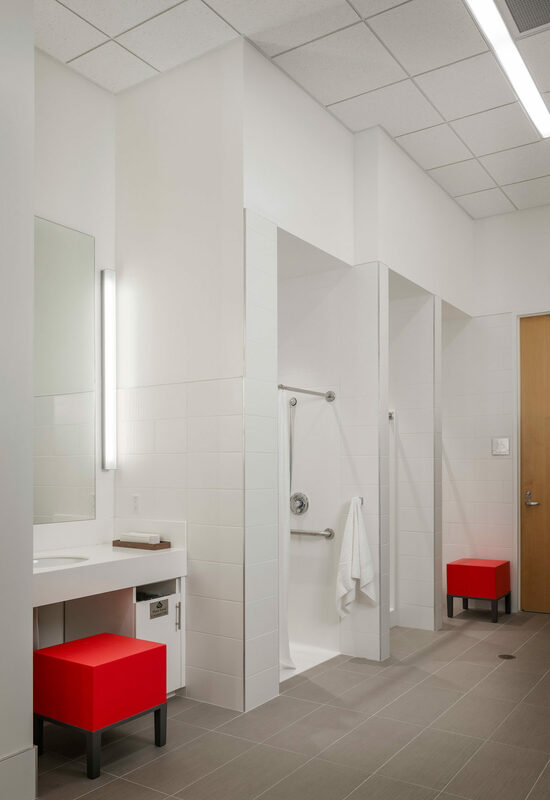 Located in the 4th & Madison high-rise in downtown Seattle, the 9,000 sf tenant improvement converted a vacant lobby level space into a Property Management Ofﬁce, conference center and board room, catering room, and fitness center with full locker room facilities. 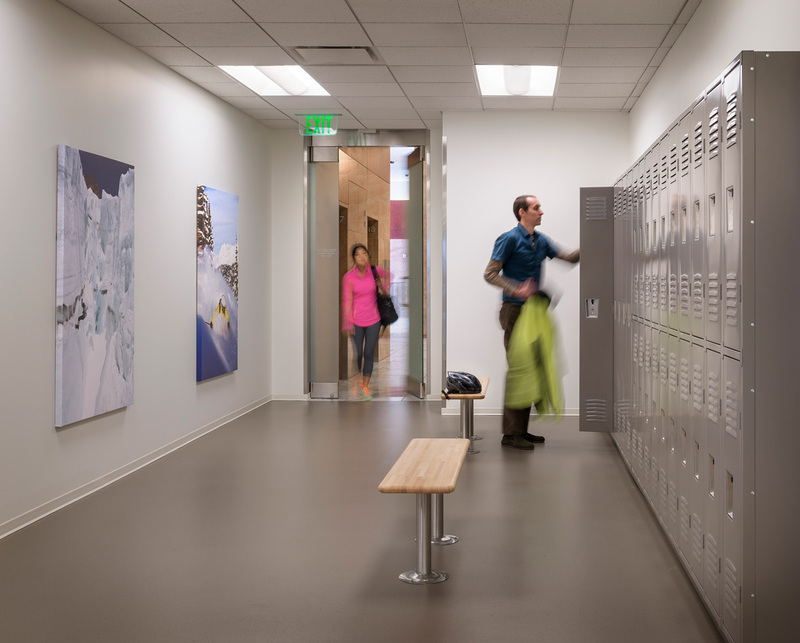 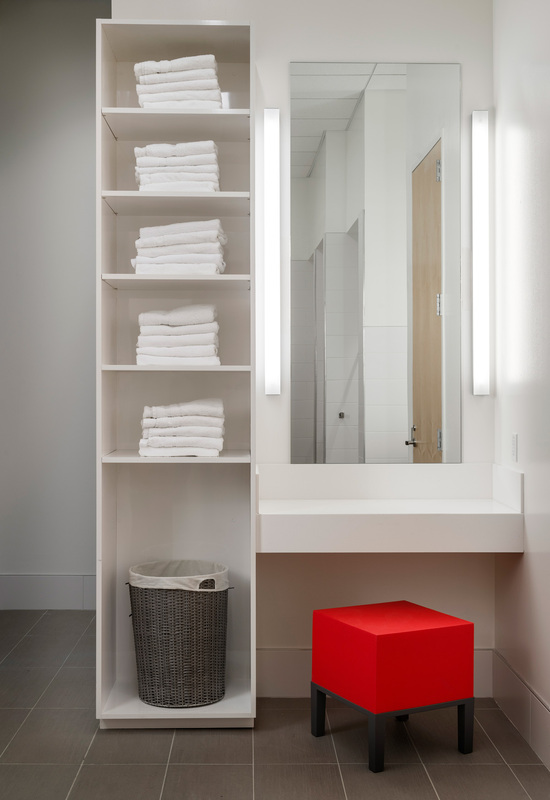 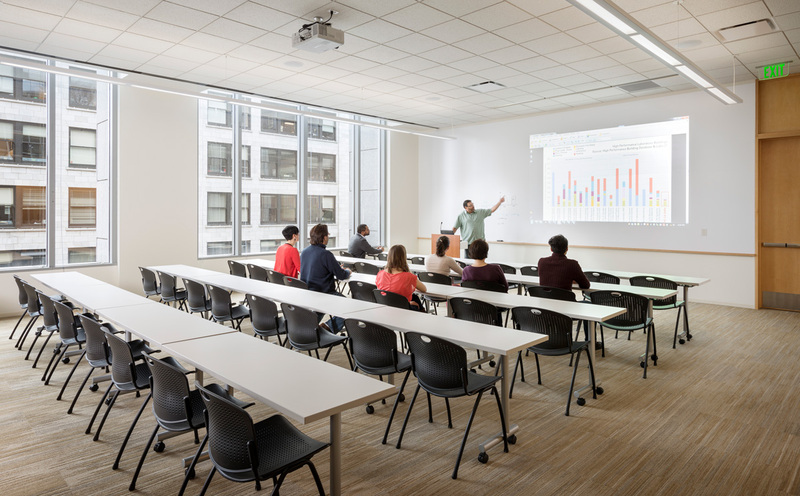 Existing materials from the space as well as other locations within the building were re-purposed in the space, reinforcing the client’s commitment to sustainable building practices and value-driven project delivery. 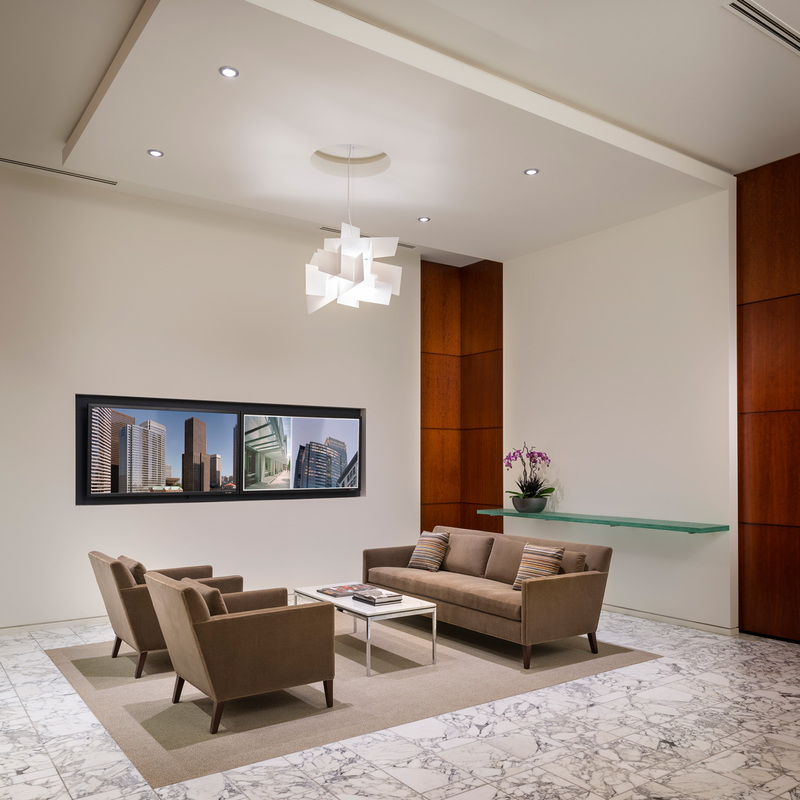 Work included demolition of the existing ofﬁce space, framing, GWB, paint, multiple ﬂooring types, acoustic wall panels, specialized wall coverings, custom casework, paint, glass doors and walls, motorized roller shades, lighting, ceramic tile, plumbing, audio and visual systems, electrical and HVAC upgrades. 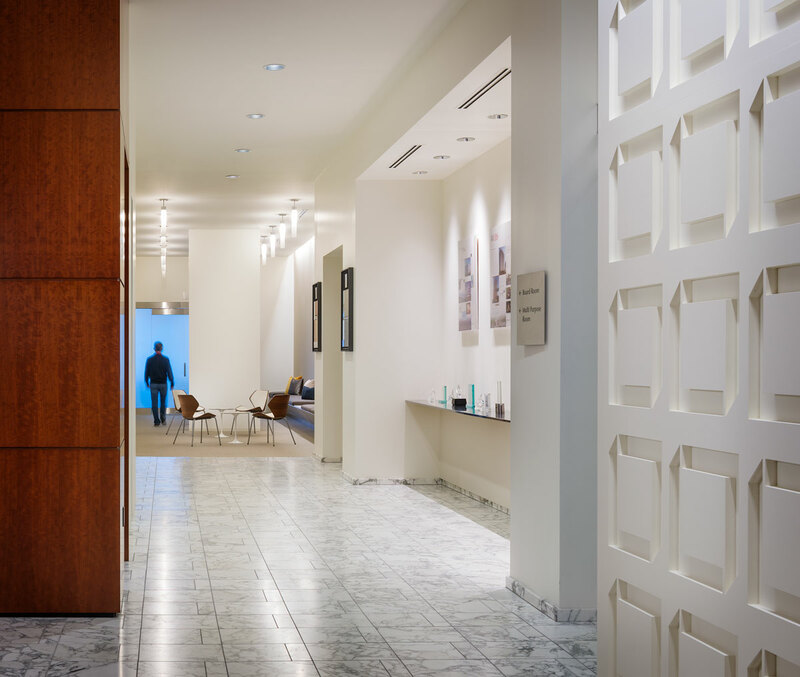 Additionally, existing marble lobby walls were dis-assembled and re-assembled allowing for the installation of glass doors into the new facility.